Through my adventures in this wedding industry and bakery business I have been very fortunate to meet some really great people and wonderful talent. Last Monday was no exception. I met Huascar Aquino via Facebook. He was a fan of Ron’s work as well as one of the students at the French culinary Institute in 2008. Out of the 14 people in his class at the FCI, he’s the only one doing something in the baking world. Huascar has had an interesting journey getting to open his bakery. After graduating from the FCI, he landed a job working at the newly opened Landmarc restaurant in Columbus Circle in NYC. While at Landmarc, he was not hired to work in the baking department, but rather in the kitchen. All of that changed on his first day of work, when one of the baking staff quit, Huascar was quickly moved over to the pastry kitchen. He stayed at Landmarc for about a year and then moved onto the Corner bakery. While there he was offered a job at the Essex House where Huascar honed his skills for the next 6 years working in their pastry department. Right now Huascar is making mostly cupcakes. He also does wedding cakes and other delicious sweet treats. His cupcakes are unique in the way that they are all organic. That means 90% of his product are made with organic ingredients. (As per the rules of the FDA.) This poses an extra challenge on this small business as organic ingredients can be sometimes triple the amount we would normally pay. 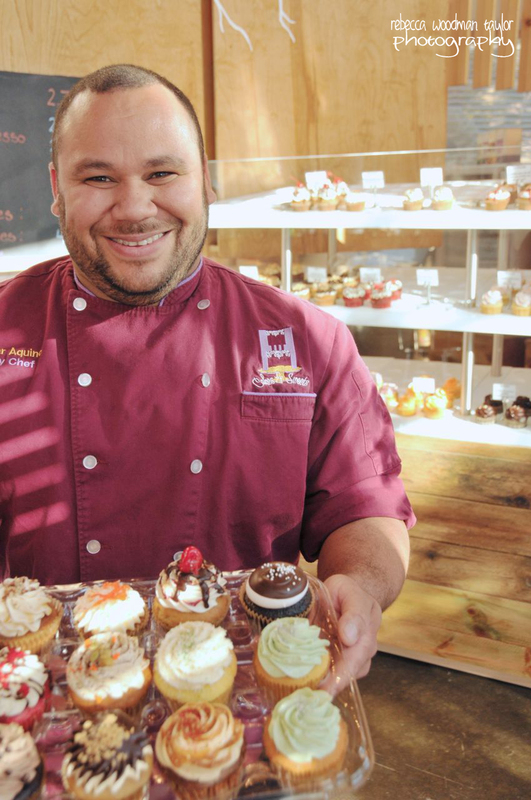 Meet Huascar Aquino, owner of H Bake Shop. Visit his shop in Manhattan at 601 West 57th Street (closer to 11th Avenue), his website or Facebook Page. He quickly learned that being a baker and a small business owner is not a very easy task. It’s not just about baking anymore; there are taxes, Workmen’s Compensation, insurance, rent, marketing, branding,employees, customer service and about thousand other little things. But this man took it in stride and for their first month open – they have exceeded their first month goals in their business plan. It takes confidence and courage to open a small business in New York City. I commend Huascar for putting out a quality product in the neighborhood who had no local bakery to go to. 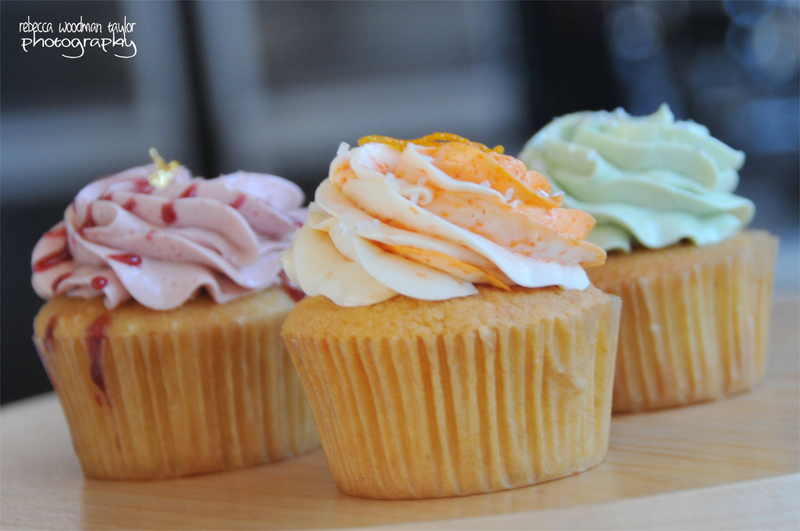 Please visit H cake bakeshop, a smile greets you at the door and there are plenty of yummy treats to fill your tummy. So this is what Huascar sent me home with to taste. Which were my favorites? The Coconut Lime and the What’s Up Doc? 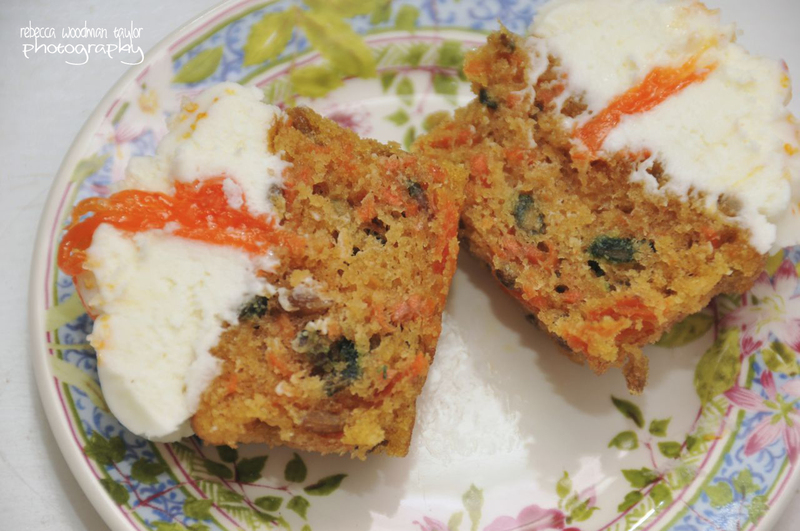 (Carrot Cake). Now we all know I worked for my favorite baker I am more partial to cake. 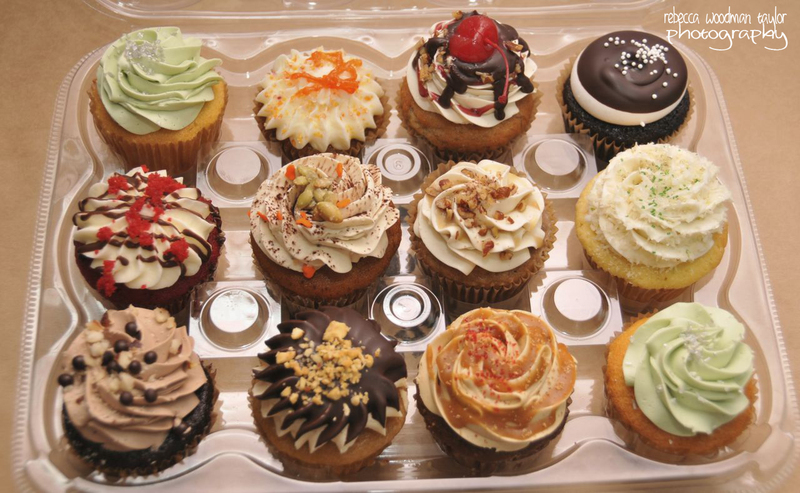 Each of Huascar’s cupcakes was more than just a cupcake. They were very moist and not overly sweet but packed with flavor. The thing that threw me was the buttercream. 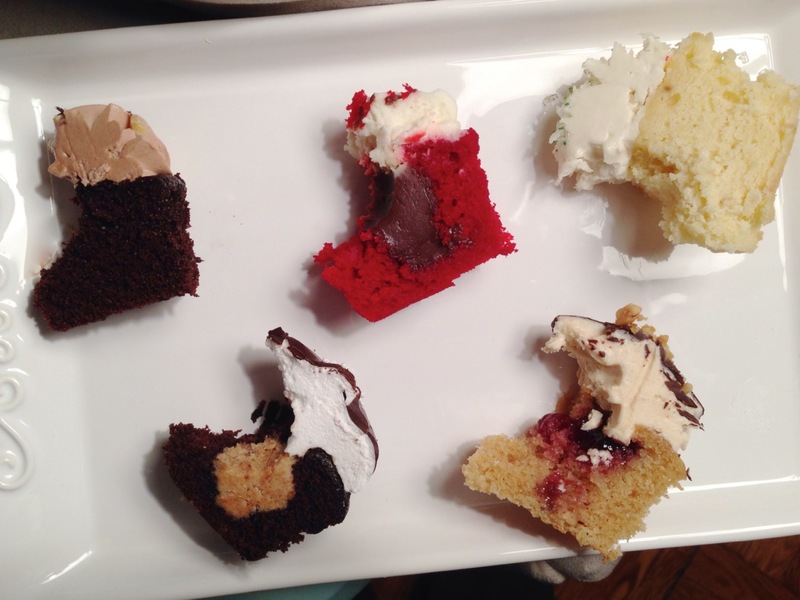 Most bakers will either choose Swiss meringue or the American version of frostings. Not this baker, he has developed his own hybrid of the two and let’s just say it was a pleasant, delicious surprise. These delicious treats have interesting flavors that will delight adults and kids alike, please stop by the shop and tell Huascar that Rebecca sent you!